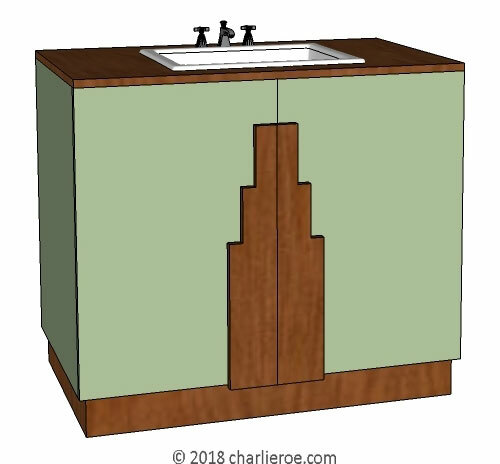 This simple shaped vanity unit relies on it's Skyscraper styling for interest and decoration. 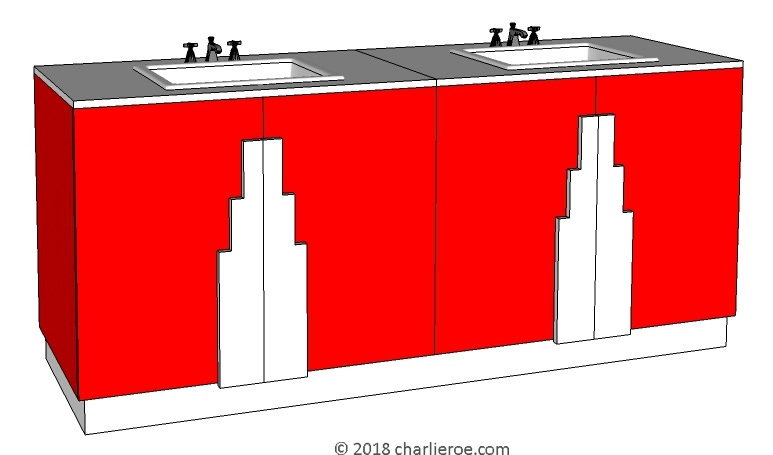 The stepped Skyscraper motif is the quintessential Deco shape, by blowing the size up you give the doors a sense of scale suited to Skyscraper styling. We actually made the door handles tall and with a skyscrapper profile; the raised handles have a grip edge at the sides. This allows us to get very creative with the main carcase finish and the handles finish, and the cabinet is quite economical to produce. 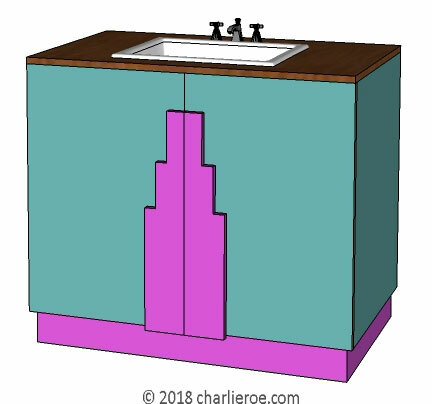 The interior is usually fitted with 1 shelf, but could be fitted out differently if you prefer (bearing in mind there are water & waste pipes to consider). The unit can be finished in a wood or lacquer finish, with either matching or contrasting handles. 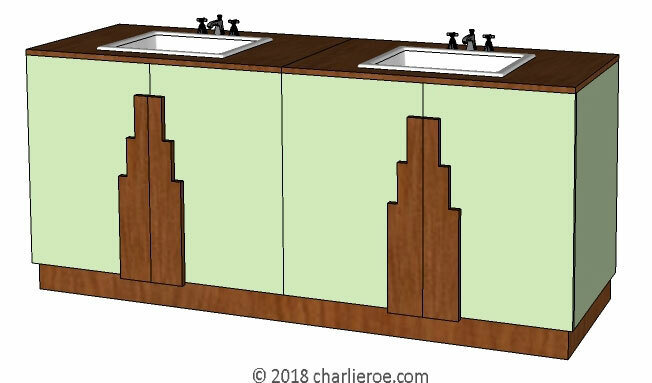 The cabinet shown above uses one of my favourite KEM Weber combinations, a muted green with rich wood handles. Then you can have the plinth in one of these 2 finishes, or introduce a 3rd colour. 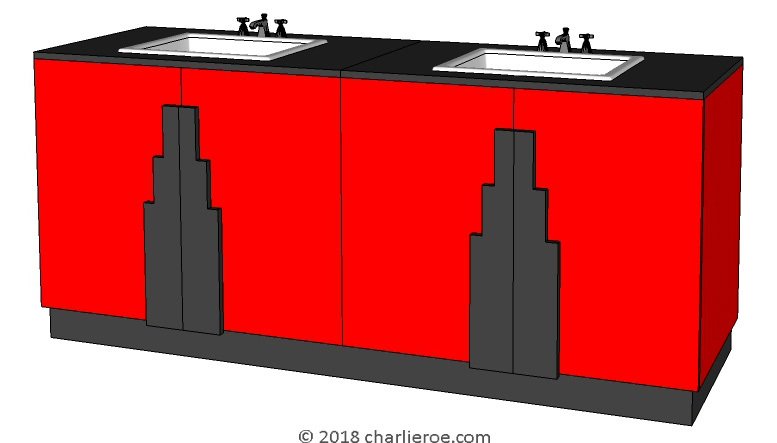 You can play around with the design of such pieces endlessly, from proportions to plinth colour to worktop. 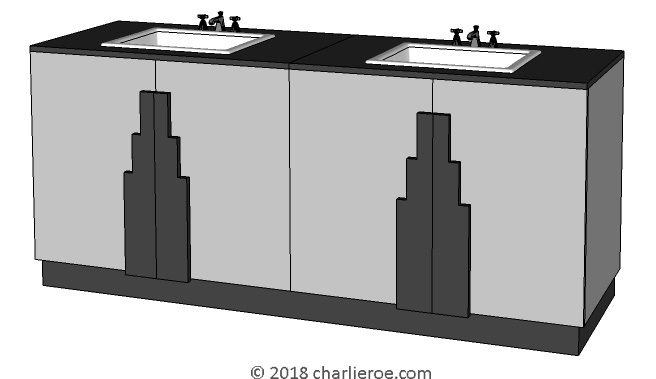 We could also make this as a double vanity unit, with 4 doors, as shown below. 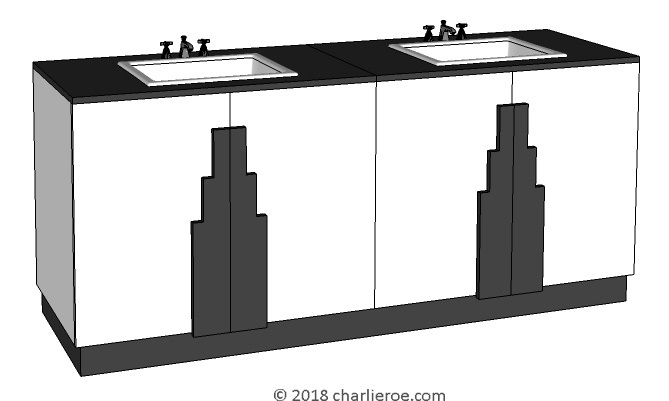 You can even change the worktop, to stone, granite, Corian, wood, glass, etc. Or add an upstand on the worktop. As made to order we don't give out sizes until we've agreed a spec with a customer. 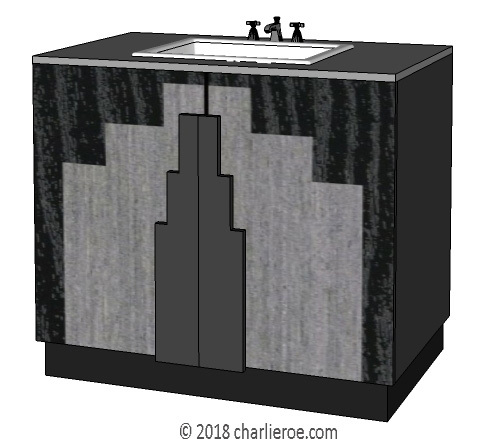 We shown some finish options above you could use for these vanity units. Within reason they could be finished any way you like as they're made to order. You can go for typical muted Deco colours to gloss lacquers or brighter Miami style palette. The handles can be a wood or lacquered finish, or a metal, or coloured glass, or etched glass. 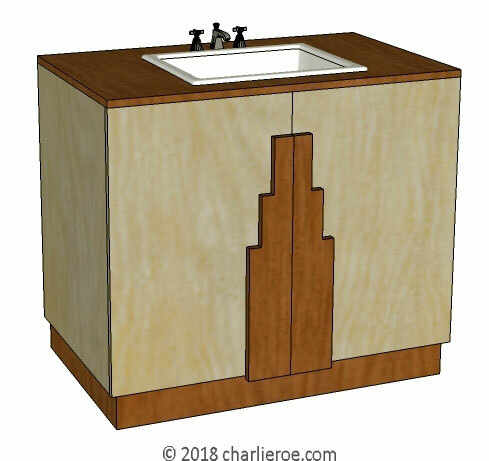 The bottom design shows these handles being used with a marquetry veneered cabinet, with a similar skyscraper design.